Mumbai: The Ahmedabad-Mumbai bullet train now finds itself in a new controversy with Godrej challenging the land acquisition. In a fresh controversy, Godrej has moved the Bombay High Court challenging the 8.6 acres of land located in Vikhroli area of Maharashtra. The protest from Godrej group comes as the 8.6 acres of land is part of the business house real estate. The land will eat up Rs 500 crore worth of land and so Godrej has asked for realignment of land for the project. Godrej has requested for realignment and even offered alternative land. This will only be possible if the National High-Speed Rail Corporation (NHSRC) – the nodal agency executing the project, concurs to realignment. In case if a compromise is not arrived at, Maharashtra government will have to forcibly acquire land for bullet train project. With Godrej jumping into land acquisition problems, resistance for the popular bullet train project increases further. The project is already reeling under issues with regards to land acquisition. Both Gujarat and Maharashtra government are locked in a deadlock with many villages in both the states. In Gujarat it is 195 villages whereas in Maharashtra the government is on head-on collision with 104 villages. The 108-kilometre stretch in Maharashtra is among the most productive and fertile farm belts, well-known for its fruit plantations. Despite of so many issues the authorities are confident at meeting the completion deadline of 2022. They are optimistic that the ride will open for public by August 15 in 2022. High-Speed Bullet Train is an ambitious project of Prime Minister Narendra Modi’s government. 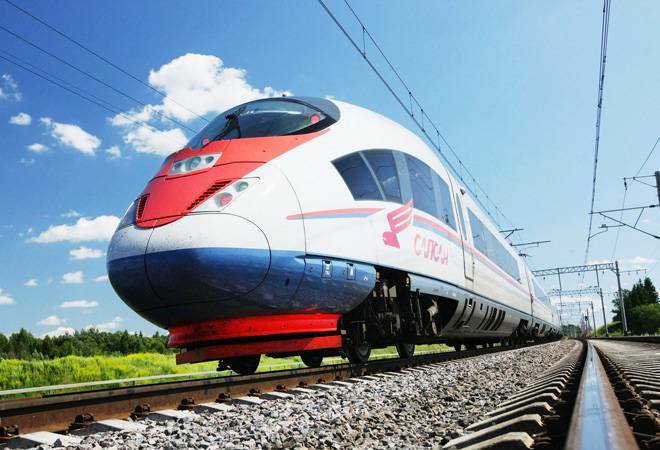 The all-Japanese high-speed technology ‘Shinkansen’, the project investment has been estimated to be around Rs 1.10 lakh crore – 81 per cent of which will be covered by a soft loan with a 20-year moratorium on payments from the Japanese International Cooperation Agency (JICA). In face of the land acquisition controversies, many feel that the deadline for bullet train will be extended further. Godrej is the new entrant opposing land acquisition along with farmers in Gujarat who have filed five writ petitions in Gujarat High Court. On the other hand public hearing by the NHSRC in Palghar was interrupted for the second time in the row, by farmers a few weeks back.